We're local. We're neighbors. 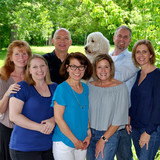 We specialize in work within our home area of Northern Virginia. We use local labor and patronize local businesses for our raw materials. 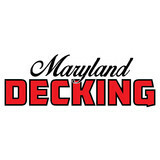 Alger Deck & Fence has been proudly serving the Northern VA area since 1990. We are licensed with the state of VA as a home Improvement contractor. We carry workman’s Compensation Insurance and General Liability Insurance. Alger Deck & Fence takes pride in providing quality wood, as well as, maintenance free vinyl, and composite materials, making your fence, deck or sun porch as beautiful and carefree as possible. We provide a hassle free project from start to finish. We excel at creative custom design with your needs in mind. We take care of all permits and utilities. We are committed to customer service and offer a quality fence, deck, or sun porch at an affordable price. Who We Are Mid Atlantic Contracting Inc. is a full-service construction and home improvement company serving both the private and commercial sectors in the Virginia, Maryland, and Washington D.C. areas. Family-owned and Class A licensed, the high level of quality and dedication that we bring to each job, large or small, has kept our customers coming back for over 30 years. 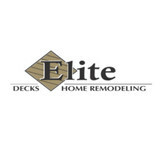 We are committed to our customers which is why we take pride in building custom decks, screened enclosures, installing roofs, siding, windows and our remodeling services. Where We Came From Mid Atlantic Contracting Inc. was founded in 1979 by the Fletcher family as a small firm specializing in interior and exterior painting and repairs. We have expanded considerably since then, obtaining our Class A license and offering a full array of building and contracting services. In over thirty years of helping homeowners and businesses, we have never forgotten our roots. We are still family-owned, and we still bring the same level of integrity, commitment, and quality to every job, large or small. Our Promise We believe that integrity, quality, and a commitment to self-improvement are the qualities that make a business thrive. At Mid Atlantic Contracting Inc, we guarantee that you will be completely satisfied with our professional staff, our work ethic, and most importantly, the quality of our work. We promise to offer fair estimates, to be straightforward, and to bring the highest level of attention and detail to each project. We look forward to working with you—you will not be disappointed! 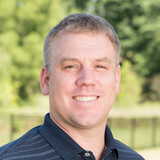 Weiler's Lawn & Landscape has been serving the Northern Virginia area since 1981. Our goal is to offer top quality service at fair prices. Comprised of landscaping and lawn maintenance divisions, Weiler's prides itself on our professional service and prompt response time. Weiler's offers free estimates for all jobs. Please contact us if you would like a sales consultant to make a personal visit to your property to discuss your ideas. Our sales consultants have years of experience with construction, design, and planting. We work with our customers to provide an end product that we are proud of and that our customer will enjoy. Being a family-owned and operated business, we’re able to offer you that personal touch you’ve been looking for in a backyard escape. Let us get your home ready for years of outdoor memories. Call us today for a free estimate! Our goal is to provide each of our customers with an outdoor living space customized just for them. We want to deliver 100% satisfaction with a value you can enjoy for a lifetime. Professional Building Artisans is a LivingSpace dealer in Clarksburg serving the greater DC area. Selling the LS brand, means PBA offers the highest quality sunrooms available.Jim Mueller About LivingSpace Sunrooms: LivingSpace Sunrooms is the leading manufacturer of 4 season sunrooms and conservatories in the United States. By using high-performance materials with cutting-edge precision technologies, our engineers and designers create masterpieces that will last your home or business for a lifetime. Enjoy quality that lasts when you work with one of our professional dealers to create the custom solution you require. From decadent sunrooms built to host a hundred guests at your hotel to elegant conservatories that bring out the best in your home, the options are near limitless. Northern Virginia Deck & Fence, Inc was founded in 2004. Since then, it has grown to be one of the most prominent deck & fence companies in Northern Virginia. We are committed to deliver quality work to our clients. Our highly trained and experienced staff at Northern Virginia Deck & Fence specializes in the design and construction of your new deck or fence. Northern Virginia Deck & Fence is a fully licensed and insured company. Our State of Virginia Contractors License Number is 2705 109567 and our classifications are HIC, CIC and CEM which are Home Improvement, Commercial Improvement and Concrete Projects. We manufacture concrete products for patios and driveways, to include beautiful fire pits. Patio Shades Retractable Awnings is a preferred supplier of elegant, high-quality, custom window shadings, awnings, garden pergolas, sun/solar screens, patio room roofs and canvas canopies for private homes, commercial properties, condominiums, storefronts and businesses. Patio Shades Awnings (PatioShadesAwnings.com) is based in McLean, Va., in the Washington, D.C., Metropolitan Area and its surrounding hub of suburbs in Northern Virginia and Maryland, serving the nation and beyond with a distribution network spanning the United States, with points in Southern Florida (Miami), Southern California (Pasadena/Los Angeles), and central New Jersey (Somerset, between Philadelphia and New York City) – exquisite and classic in style, contemporary and modern in manufacture and craftsmanship, being of Italian design and American hands-on know-how.Patio Shades offers exquisite products and immaculate construction with total customizability. Sunburst Inc. has been in business for more than 15 years in the Northern Virginia Area. We are a Class A licensed contractor fully insured with worker's compensation and general liability. We started this business from scratch and have worked hard at growing and filling the gaps in the deck market. Our philosophy is simple, do what you say you are going to do. It is our policy not to oversell and under-produce, we return calls in the same day, and if there is a problem we fix it. Sunburst Construction uses only the finest products and materials for each patio,deck,screen porch, gazebo, etc that it builds. Listed below are some of our quality products and materials. One of our finest products is Trex. Carroll Awning Company provides innovative craftsmanship, superb service, competitive pricing and unfailing attention to details in order to deliver a product that exceeds expectations. We can help you determine which products will provide the truly cost effective awning. For more information, fabric swatches and free quotation call or contact through e-mail. We're the super duper deck, porch, patio, and hardscape builders in Frederick and surrounding areas. Tell us your vision and we'll provide a free rough estimate to build your dream outdoor getaway. At Porch & Patio of Frederick, we take the extra time to sit down with each client and every client to discuss their outdoor vision. We'll discuss everything from footers, layout, building materials, to even the smallest details that'll give the final project the beautiful look and feel that you deserve. As we lock in contracts, we'll then provide clients draft designs for approval, pull permits, and submit HOA requests. Rest at ease knowing that Porch & Patio of Frederick will stay on top of logistics and project risk. We specialize in a variety of outdoor features. Patios: Stone - For that elegant and natural look Brick - Providing that timeless Colonial look Pavers - Beautiful with a variety of shapes, colors, and patterns Stamped Concrete - Dyed with a coloring agent for that natural look Our decks: Platform decks - Usually built low to the ground Raised decks - High off the ground with safety features Two story decks - Up and down stair levels with second floor vantage points Multilevel decks - A deck beautifully contoured to the layout of your yard Free-standing decks - A private oasis in your yard We have extensive experience in these plus Sunrooms, hardscapes, fire pits, water features, and beautiful covered porches! Give us a call and share your vision!